Beta-AlanineTrec Beta Alanine 700 - 60 kaps. 38 loyalty points Your cart will total 38 points that can be converted into a voucher of 1,52 PLN. 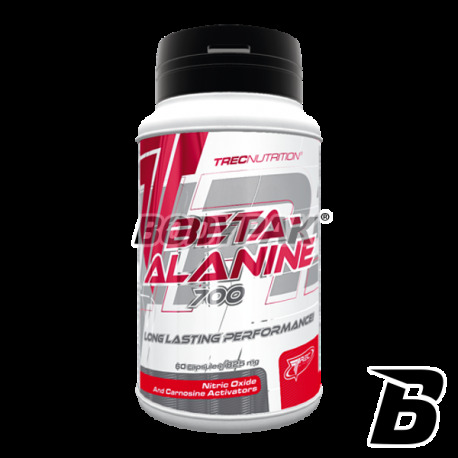 Trec Beta-alanine 700 contains the highest quality beta-alanine, which supports the body during intensive and long lasting physical exercises. This component is the main precursor of carnosine - natural substances with buffering. Trec Beta-alanine 700 reduces the acidity of muscle fibers, which translates into an increase of explosive strength and endurance during exercise and faster recovery post-workout full body. Beta-alanine 700 is recommended in all sports. With preaparatowi improve its maximum exercise capacity under both aerobic and anaerobic conditions. natural substances with buffering. 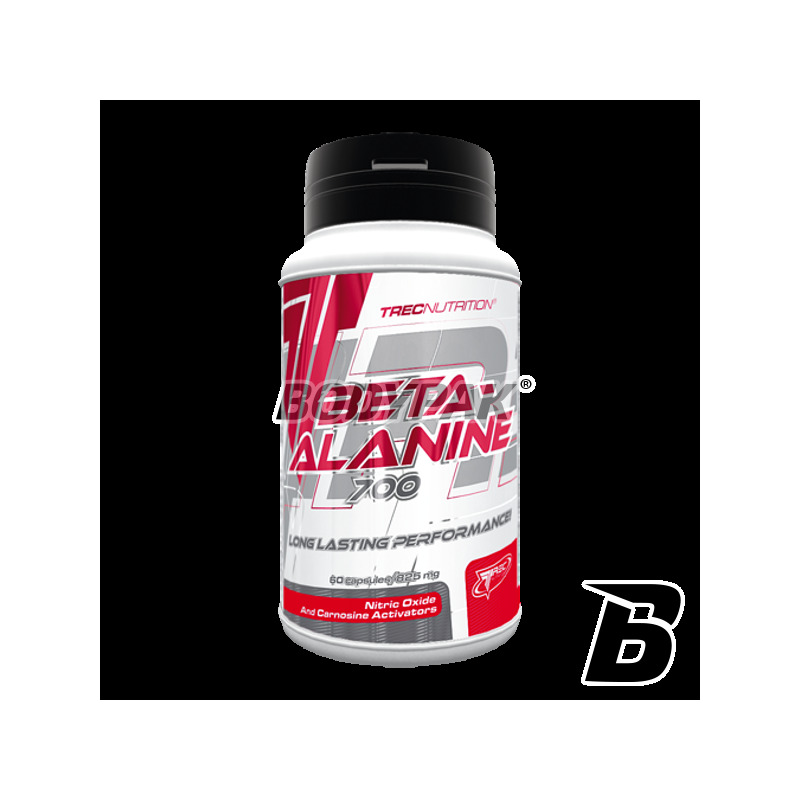 TREC Beta-alanine 700 - Accelerate your EFFECTS TO THE MAX! 4 capsules 30 min. before training. 2 times a day 2 capsules, preferably 30 min. before a meal. Składniki: Beta alanina, stearynian magnezu - substancja przeciwzbrylająca, żelatyna (A)/(B) celuloza - otoczka kapsułki (patrz numer partii produkcyjnej). Trening Crossfit przeniesiony na wyższy poziom! Wydolność sięga granic możliwości - jedna porcja przed treningiem i człowiek może dać z siebie zdecydowanie więcej!